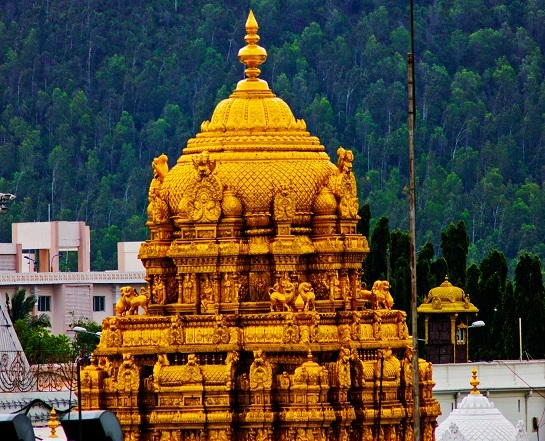 This holiest of the 108 pilgrim centers, Tirumala Hills snugly nestles in the Eastern Ghats surrounded by hills. Mystical vibration surrounds everyone in the chanting of the dawn invocation known as "Suprabhatham" to the Lord, in the twinkling of the temple bells, in the fragrance of sandal paste and camphor, in the heavy, smoky scent of incense - all these blending together to raise the restless mind to an experience of intense spiritual awareness. The origin of the deity is said to be pre-historic, but the central shrine was build in the 4th century A.D. by the Greater Pallavas. The Lord of the Seven Hills has been referred to in the Rig Veda, the oldest literature - extent. The Venkatachala Mahathyam contains lore from twelve Mahapuranas. The founder of Govindarajaswami Temple was the famous Vaishnava teacher Ramanuja. This temple is situated in the heart of the temple town. The earliest records belongs to the year 1235 A.D. ascribe the foundation of the shrine to Ramanuja. An inscription of 1456 AD states that Govindaraja, Sridevi and Bhudevi were given a holy bath with water obtained from a tank built by Ramanuja. 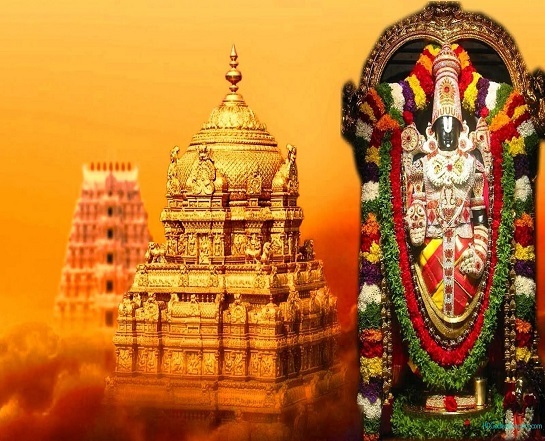 We learn from epigraph of 1475 AD that oil and betel leaves offered to Lord Venkateswara were being bought down from Tirumala to be offered to Govindaraja at the time of his Tirumanjanam Abishekam on the the day of Krittika star in the month of Krittika. The Govindaraja temple received wider attention with the advent of Vijayanagara rule over Tondamandalam. The Govindaraja temple came in for greater patronage during the rule of the Saluva dynasty of Vijayanagara. A certain Appapillai built a mantapa in front of the kitchen in 1506 AD where the devotees drop their offerings.